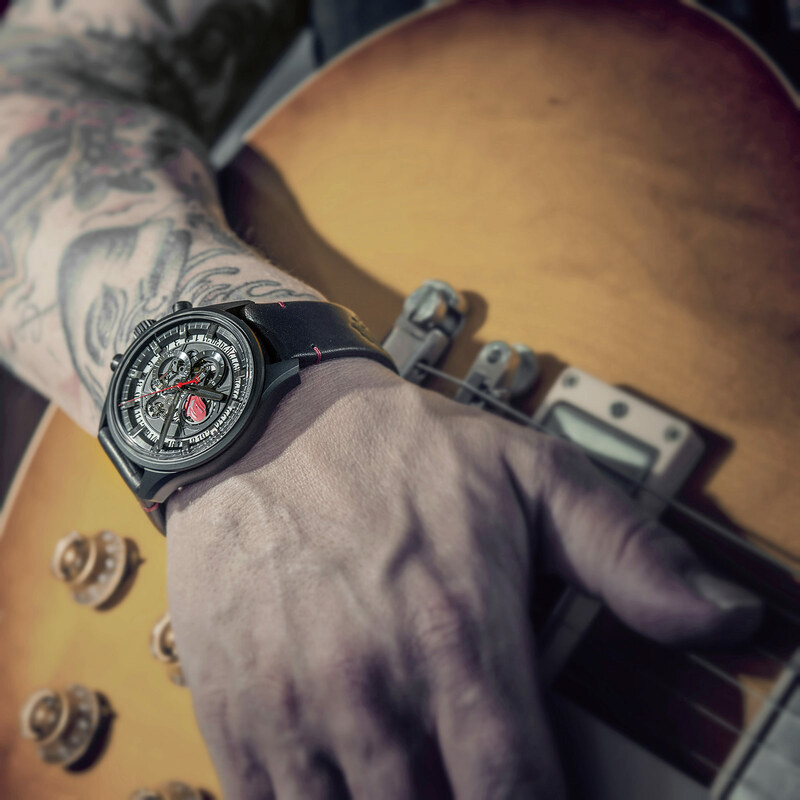 The legendary rock band gets its very own 250-piece, limited edition El Primero chronograph in black ceramic. 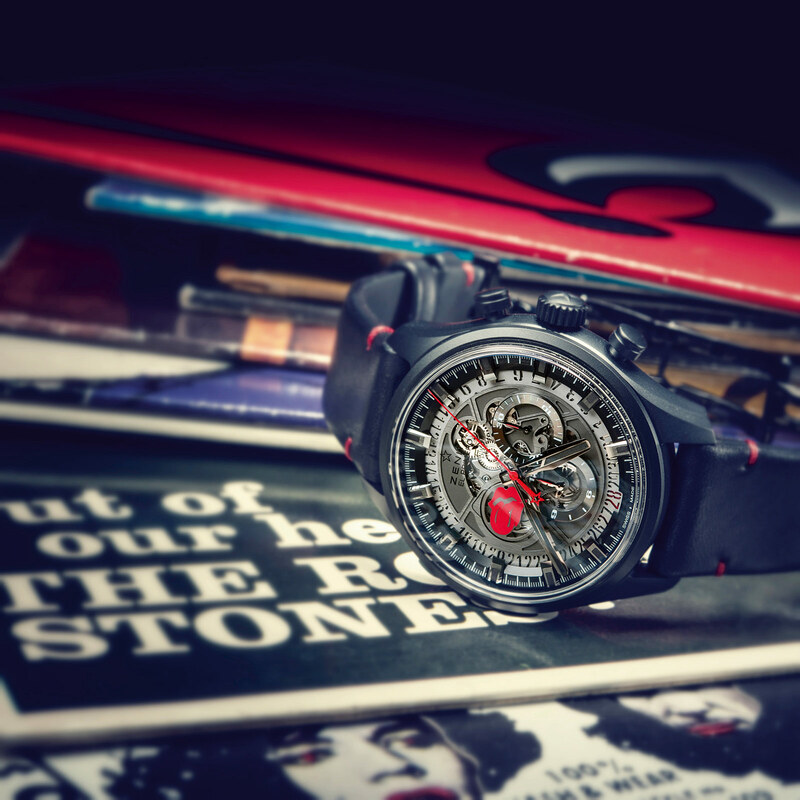 The latest in a series of wristwatches Zenith created to commemorate the British rock band, the El Primero Skeleton Tribute to The Rolling Stones has a black ceramic case and skeletonised, see-through dial – and is powered by a movement that’s younger than the famed rockers. 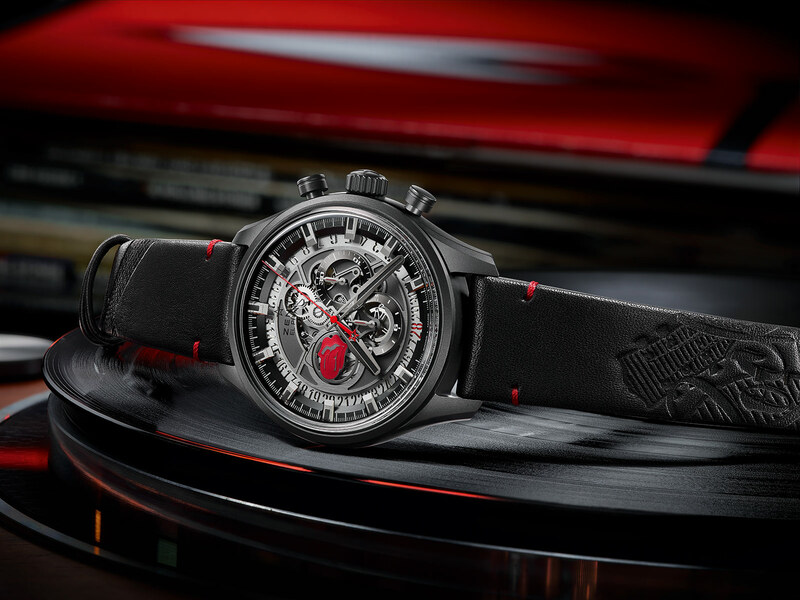 Having produced watches for the band since 2014, the latest edition is the fourth in Zenith’s Rolling Stones series. The previous maker of the band’s commemorative wristwatches was Seiko, its president being an enthusiastic amateur musician and singer. Open-worked to reveal the gears below, the dial is actually the base plate of the movement. The date disc is similarly open-worked, with the current date highlighted in red at six o’clock. Also in red is the highlight of the dial, the tongue and lips logo of The Rolling Stones. This logo is printed on the seconds disc, so it makes one revolution every minute. 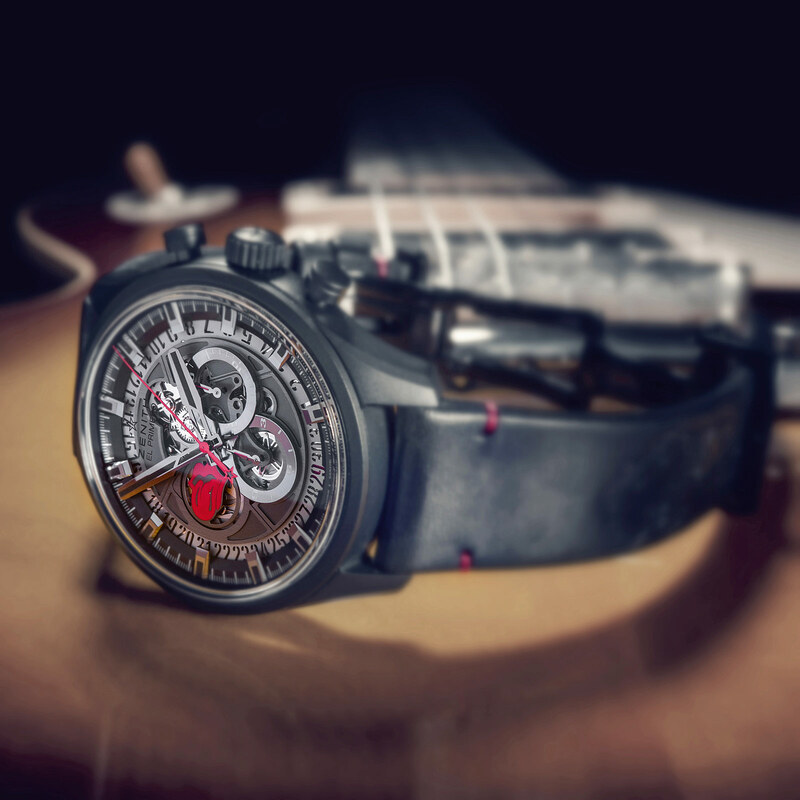 And the hour and minutes hands are shaped like the neck of a Fender Telecaster, an electric guitar used by Keith Richards, the band’s guitarist. Matte black and 45mm in diameter, the ceramic case is in the typical El Primero style, with wide, sloping lugs. Inside is the El Primero 400B, a self-winding automatic movement that runs at 36,000 beats per hour and famous for being the first automatic chronograph ever introduced (though there’s some debate on who came first). 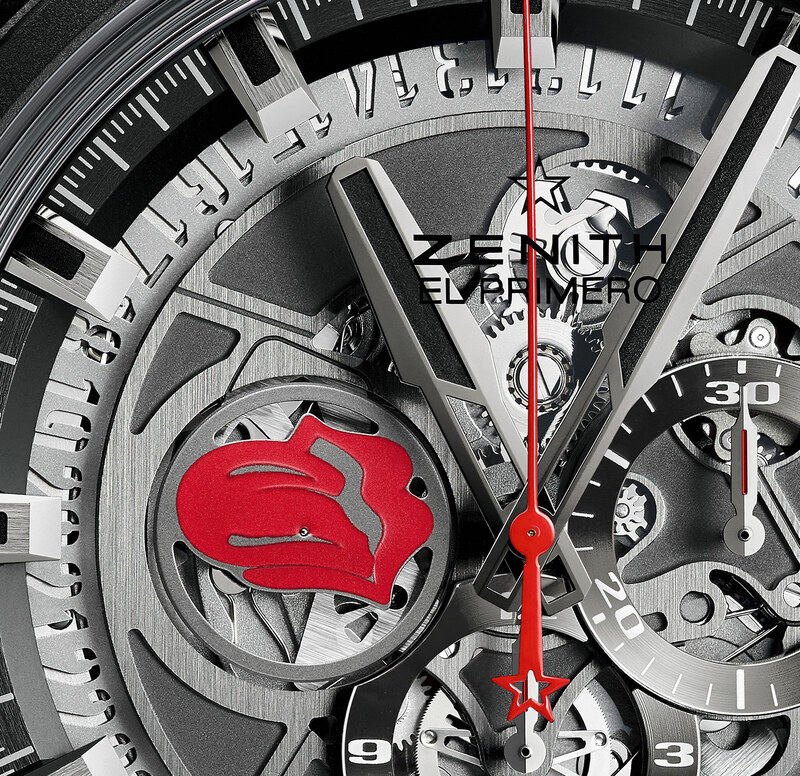 That happened back in 1969 – making the El Primero almost as old as The Rolling Stones. 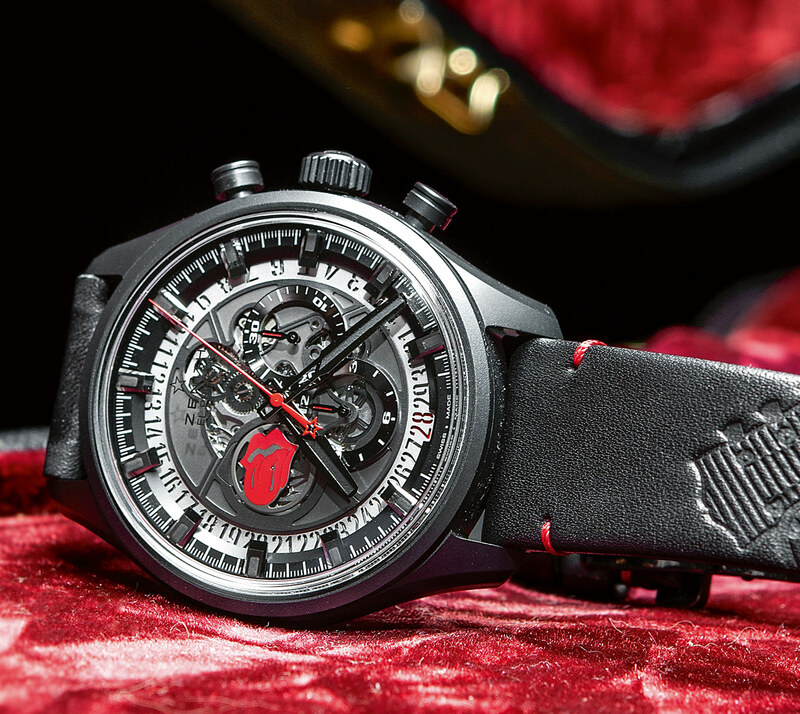 The El Primero Skeleton Tribute to The Rolling Stones is available from Zenith boutiques and retailers starting November, priced at SFr11,400 or S$17,300.